Fiber School Registration is Open! FALL FIBER SCHOOL October 1 – 6, 2009! You can enroll in one workshop or both. REGISTER FOR BOTH AND GET A FREE BONUS SESSION IN THE DYE LAB AND OVERNIGHT STAY SUNDAY! Art Share is a go! We’re thrilled to announce that the Kansas Arts Commission did award funding to Art Share, a collaborative project between the City of Harveyville and The Harveyville Project that will present four free art programs! Art Share will use Harveyville Project residents present free arts programs that may include classes, field trips, exhibits, etc. It’s a fairly modest grant, and Arts Commission is currently funding these grants at 80% (with the remaining 20% to come at the end of the term, if it’s still available), so we’ll either need to scale back a bit, or have a little fund-raising to make up the deficit. We’ll also need volunteer help and some donated supplies (I’ll psot a wish list for each program), so if you’re interested, please let me know! Our first program will be a pinhole camera workshop in early August, followed a few weeks later by an exhibit of the photographs taken. The class and exhibit will be led by Stephanie Trevino. I’m really excited about Art Share in general, and I’m also psyched about this class in particular. I’ve always wanted to try pinhole photography, but most of my solo photographic experiments have been dismal, so getting practical instruction will be such a treat. We should have the dates and additional information soon. We may even be presenting a second program in August! More on that as we work out the details. If you’re a prospective resident interested in participating in Art Share, we’ll be posting the proposal requirements soon. New babies at Cupcake Ranch! Yes, it’s true! We have two new residents at the Harveyville Project. They’re still too little to name (we want to make sure they’re good & strong first), but intoducing: the little boy and the baby! It turns out that Agnes, the shyest, daintiest of the sheep, had a little secret. 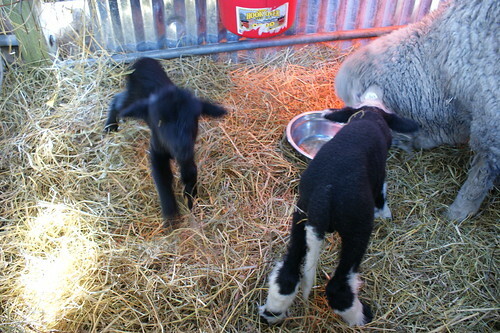 Miss Agnes apparently came to us knocked up, and Sunday morning & afternoon, Ron & I delivered 2 adorable little lambs. Read all about it here. I have a whole new level or respect for farmers. I wasn’t planning to breed them (they’re a spinner’s flock), so didn’t do anything special in caring or feeding her–I never even read the lambing chapters in any of my books. So we alternated between running back to the school & calling for advice, and just winging it. Huge ordeal (Ron, who was already sick, ended up with a bad fever), but really awesome, too! Hopefully they’ll make it (Agnes isn’t an especially keen mom, but she does seem to be warming up to them) and those of you coming to the Sunflower Spring Knitaway or Spring Yarn School will get to meet our newly-named little bundles of joy. They’re really tiny and cute. In the meantime, I’ll try to add some better pictures. And here’s their mom, Agnes. We’re moving into the green season here at The Harveyville Project. I’m probably going to regret planting so early, but I’ve just started my experimental hay bale garden (spoiled hay courtesy of one of the many Green Acres-style lessons I’ve learned in the last year), and the poor little starts are hanging in there, despite the fearsome winds we’ve had all day (steady 30-40mph with gusts to 50). Hopefully, you’ll be eating fresh-grown goodness next time you’re here! Even if my bales fail, my friend June’s husband Tom’s planting a little extra for me in their gianormous garden, and I’m going to help them harvest & can. 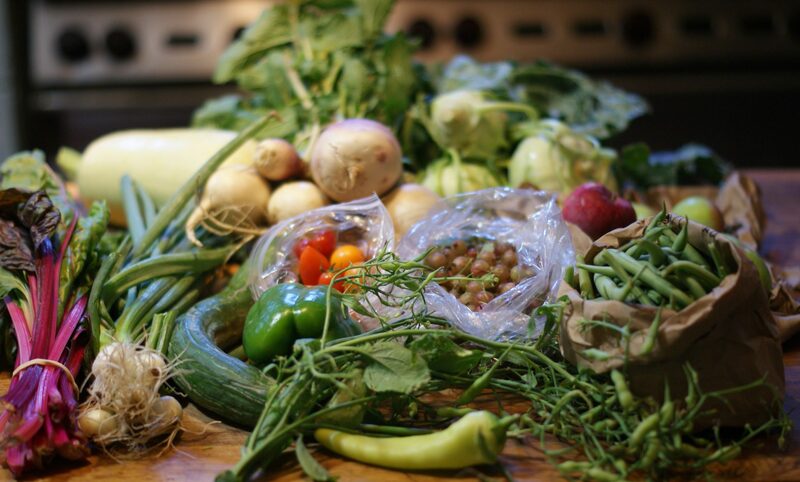 So between that & the Sundog CSA, I’m looking forward to heaps of fresh local produce. April 6 is shearing day at Cupcake Ranch, so if you’re interested in seeing sheep get liberated from their home-grown wooly sweaters, let me know. Keep in mind that we only have 4 sheep, so the whole thing will probably wrap up in about an hour. We’re offering private workshops starting this year, and our first, a private (well, semi-private… more on that in a sec) workshop is this June 6-7, a custom Felt School taught by the fabulous Shannon Okey. We’ve got room for a couple more students, so we’re offering a limited public enrollment. This will be an intimate workshop with tons of hands-on attention! Details & registration here. If you’re interested in a private workshop (days or overnight) and you have a group of at least 6, let me know your ideas & we can discuss possibilities. 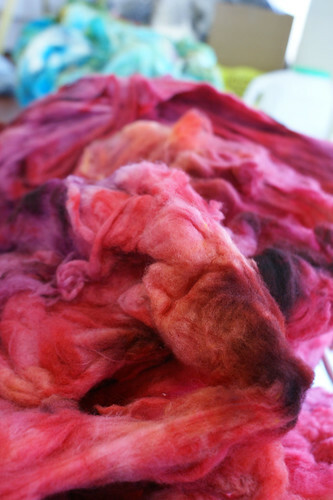 Craft options include spinning, knitting, crochet, dyeing, etc. If you’re a teacher with a group who is looking for a venue, we’re set for that as well. I’m also in the very, very early states of organizing Cheese School, a cheese-making workshop. If this sounds like your dream come true, let me know & I’ll put you on the notification list. Camp Pluckyfluff + Spring Yarn School = FREE bonus! 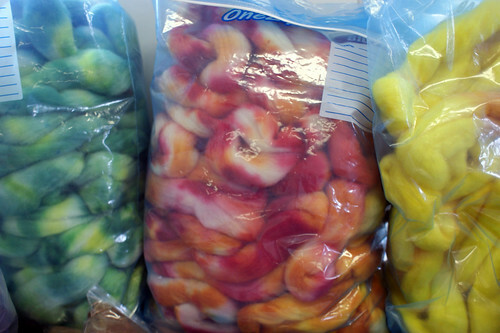 Been busy all weekend (and into this week) dyeing up fiber for Camp Pluckyfluff, yum! We still have a few spots open. If you’re in the Midwest, this is a wonderful chance to join the Handspun Revolution and spin with the inimitable art yarn spinner and author Lexi Boeger! It’s one of only two Midwest Pluckyfluff camps this year, and the only one that includes all your meals/snacks/accommodations/supplies/equipment on site. So it’s a great opportunity to take a fabulous workshop in an equally fabulous environment with minimal fuss if you’re traveling. Yes, I’m very very very excited! Spring Yarn School registration is also open now! There’s even a 4-monthly-installment option to help with your budgeting. 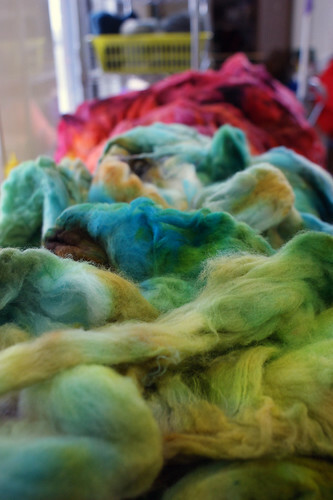 And because all this fiberlicious excitement is making me feel expansive: If you attend both Camp Pluckyfluff and Yarn School, you will get a free 4-hour Dye Lab session (including fiber) the Sunday night or Monday after Pluckyfluff!